This lavender eye mask is made from chambray denim with mini star print. Makes the ultimate Mothers Day or New Mummy Gift. 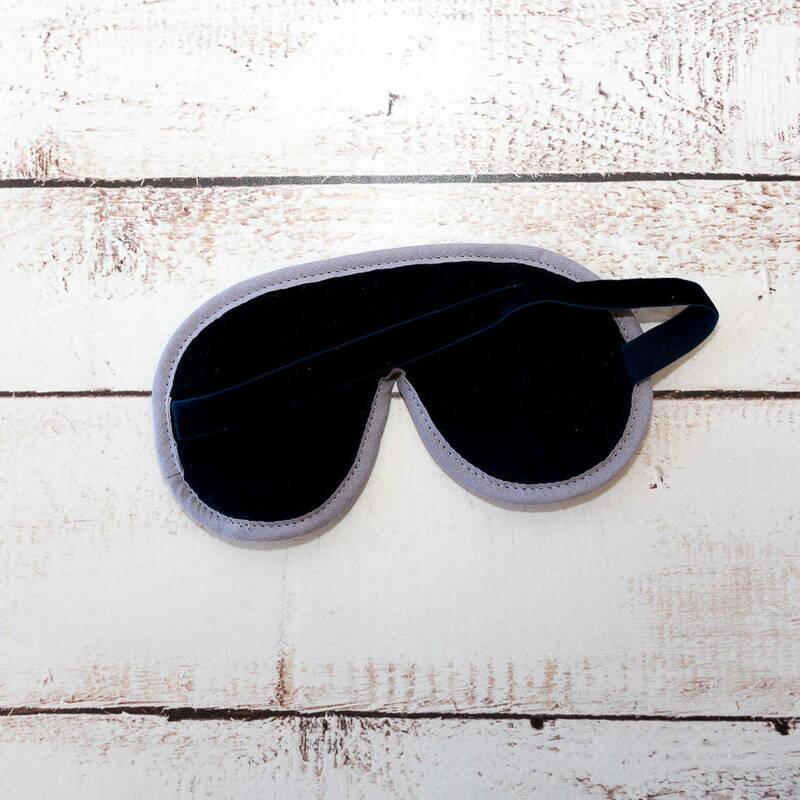 This luxury sleep mask is the perfect gift for the global traveller. 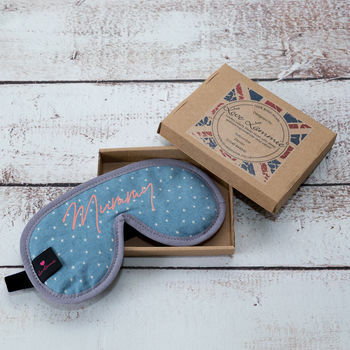 Handmade in England, each sleep mask is filled with lavender whilst the 100% cotton velvet backing will gently caress your face.Trimmed with a very stylish cotton binding. Perfect for travelling and equally for a good nights sleep or day time chill out whilst looking great too. The chambray fabric is printed with an adorable tiny white star. Each mask is lined with a soft velvet and comes with a stretch velvet strap. Personalised with either Mummy, Mum, Mother or Mama.